The muggi is a unique and innovative tray that allows up to four mugs or glasses to be safely carried. It features non-slip rubber feet, finger and thumb holds and is designed to catch any unwanted spillages. 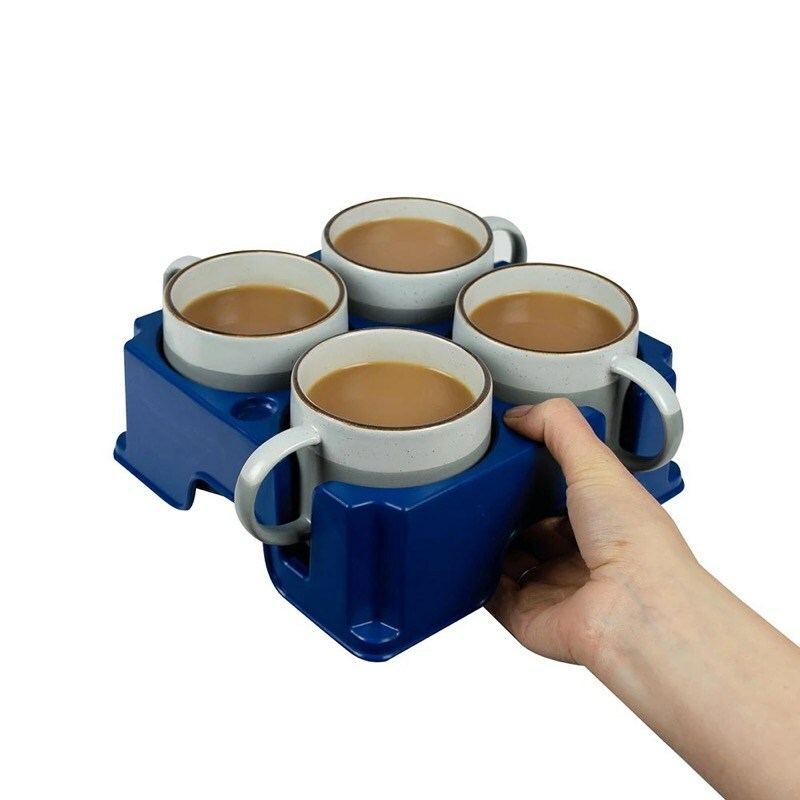 The unique muggi is an innovative tray that enables you to safely carry up to four mugs or glasses. It features four non-slip rubber feet, finger and thumb holds making it easier to carry and it has also been designed to catch any unwanted spillages. The muggi is manufactured in the UK from lightweight, super tough plastic and is available in four colours – red, blue, purple and dark grey.